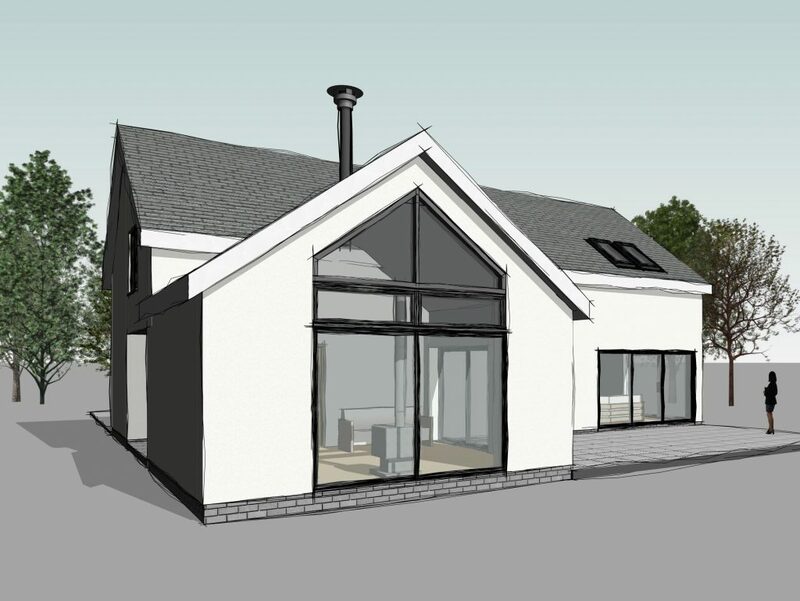 A secluded site on the edge of Penkiln Burn provides the site for a modern 4 bedroom home. 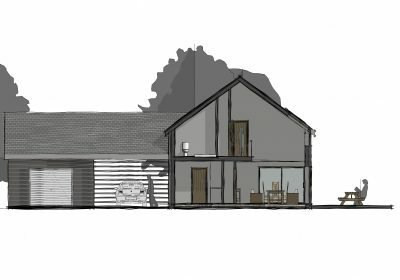 The brief included a desire to maximise both privacy and views. 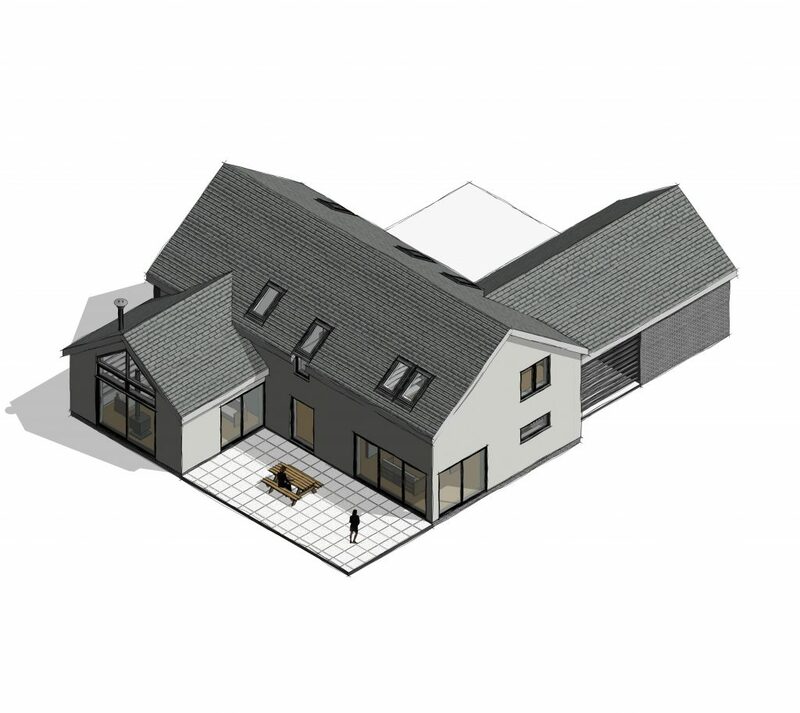 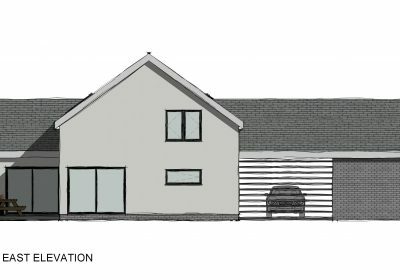 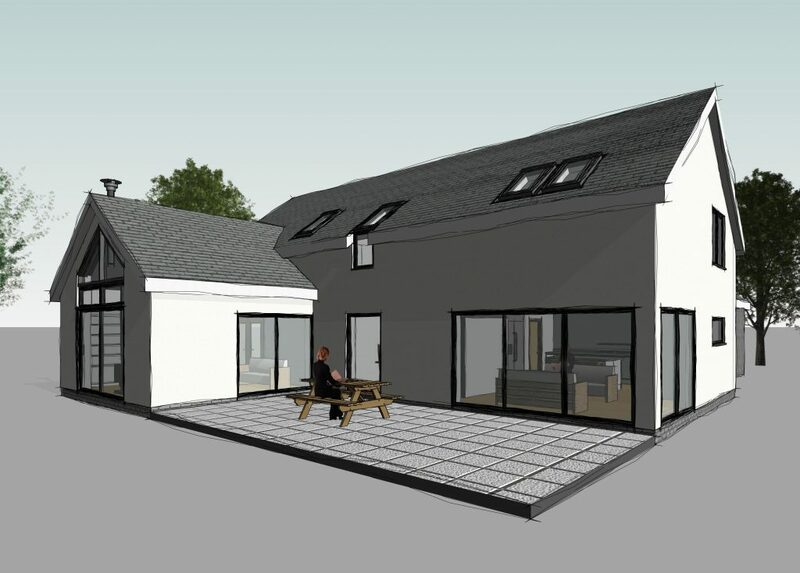 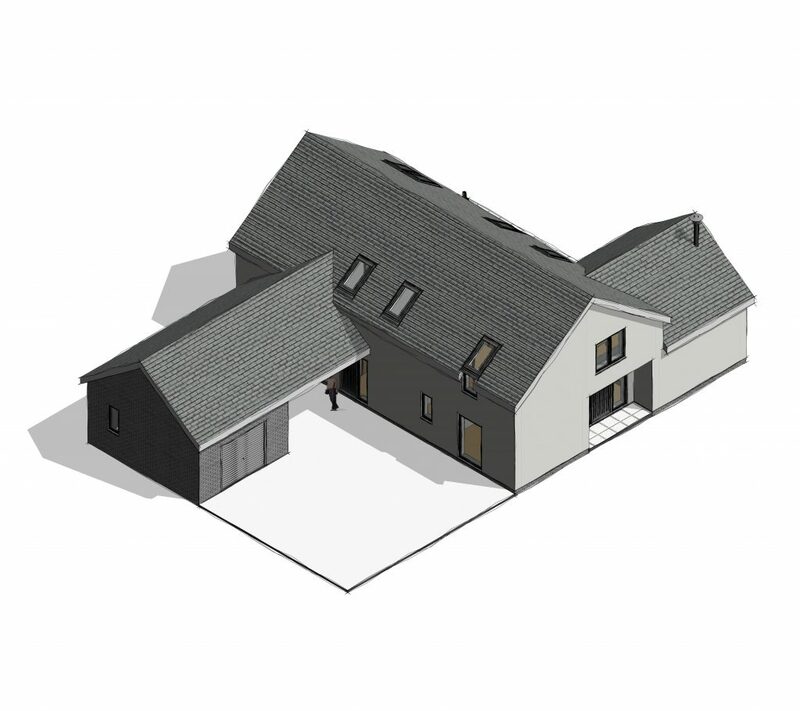 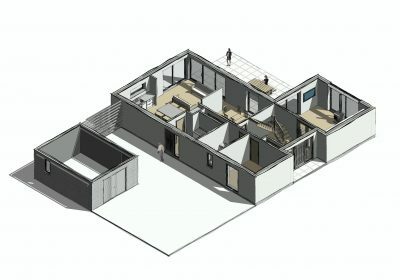 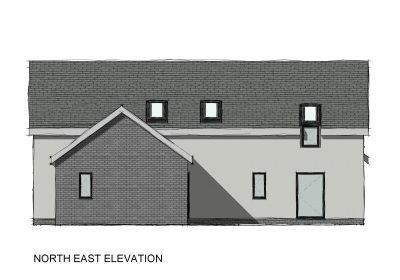 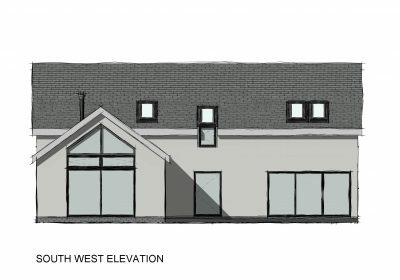 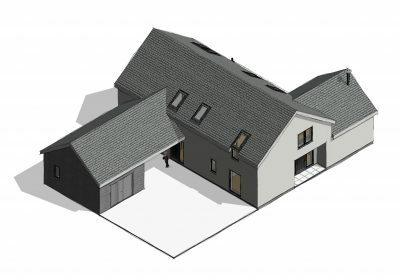 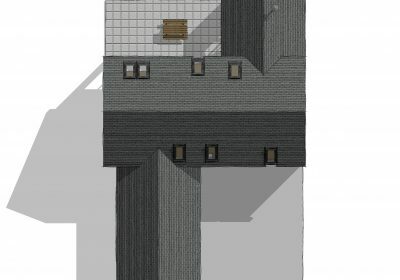 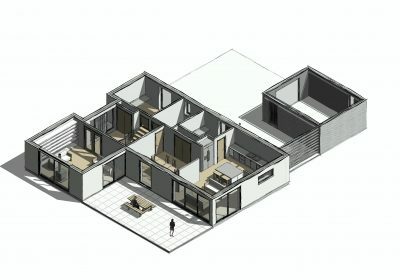 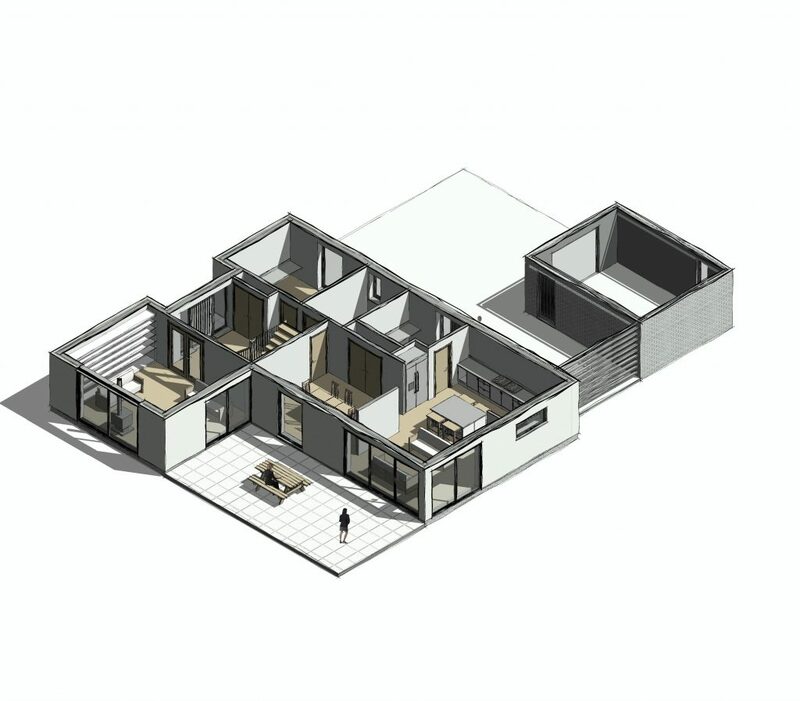 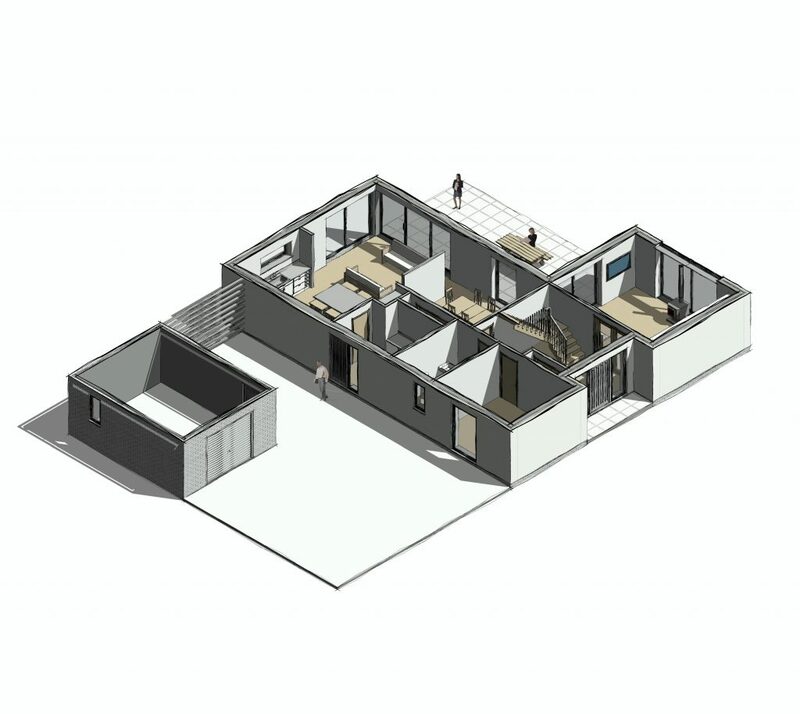 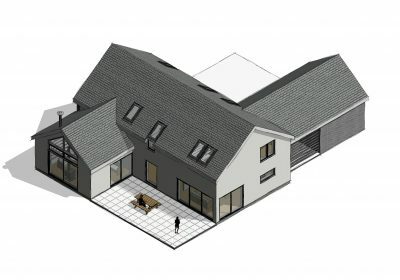 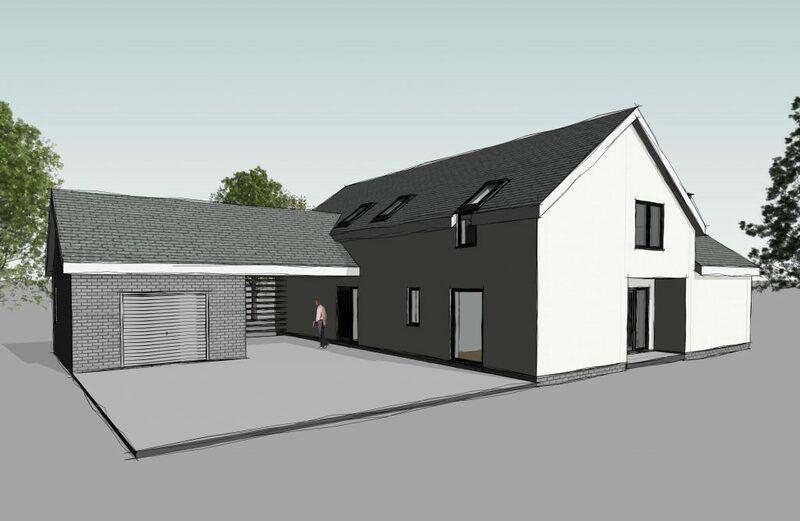 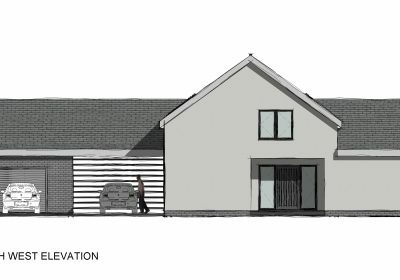 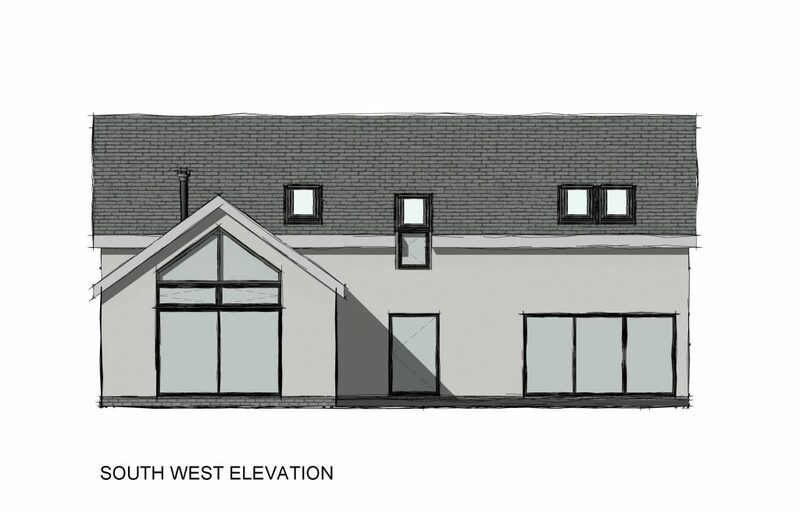 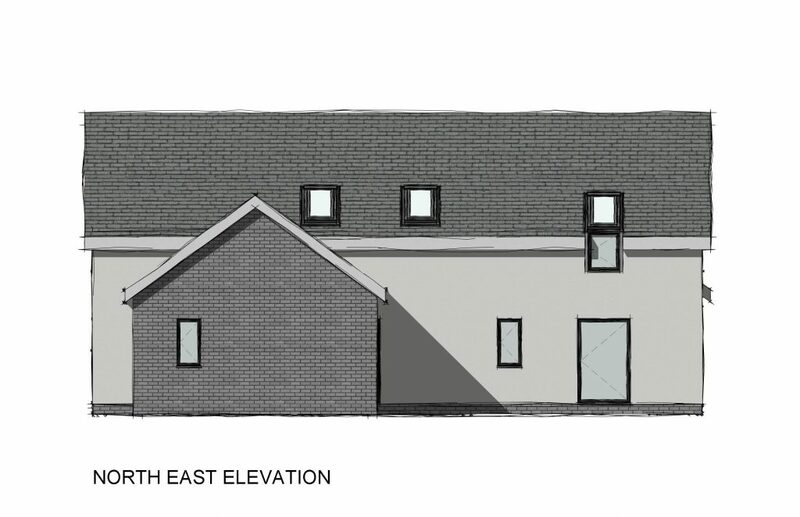 The minimal colour palette of materials include a grey slate roof, light grey rendered walls, dark grey facing brick and grey windows and doors. 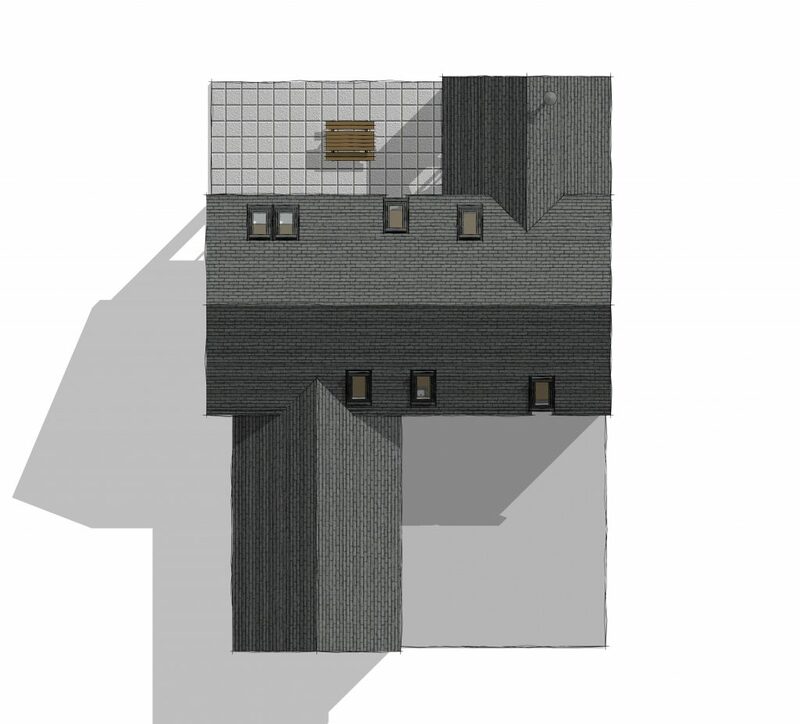 This combination and contrast allows for a simple but sharp aesthetic. 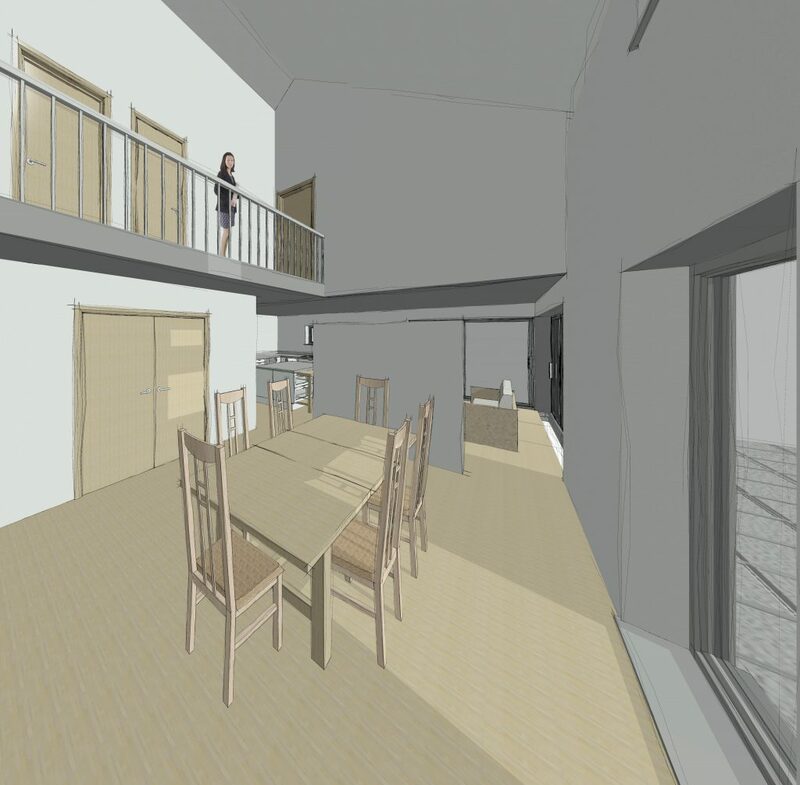 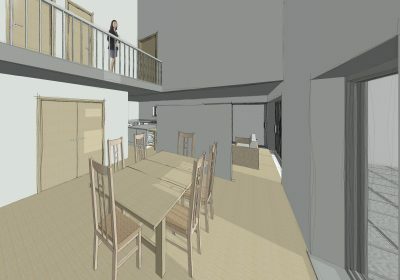 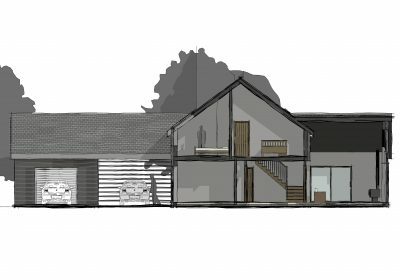 Construction will be timber frame with high levels of insulation and heating will use an air source heat pump to minimise the carbon footprint. 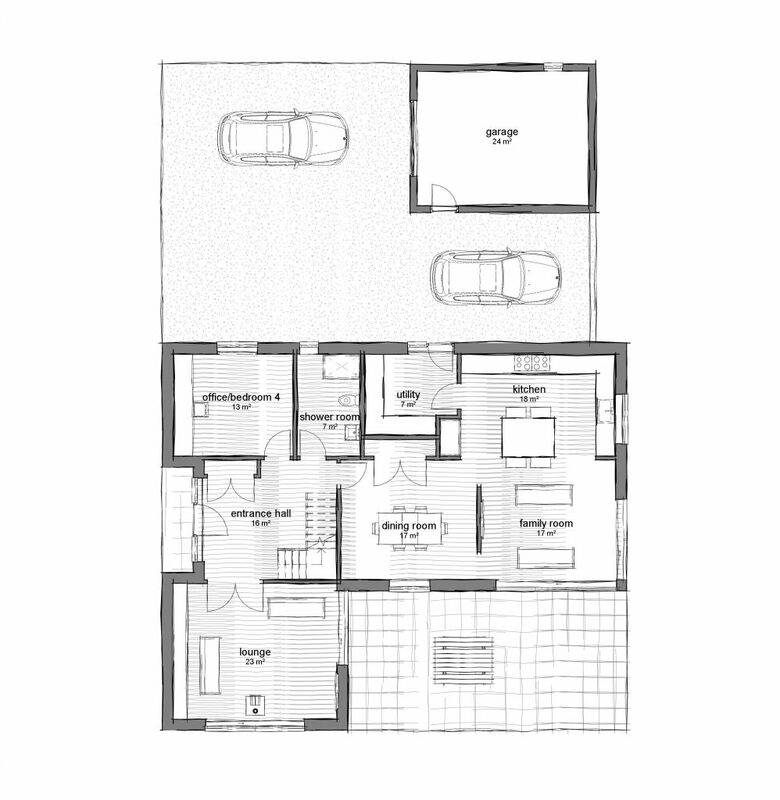 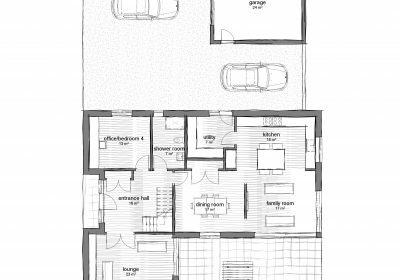 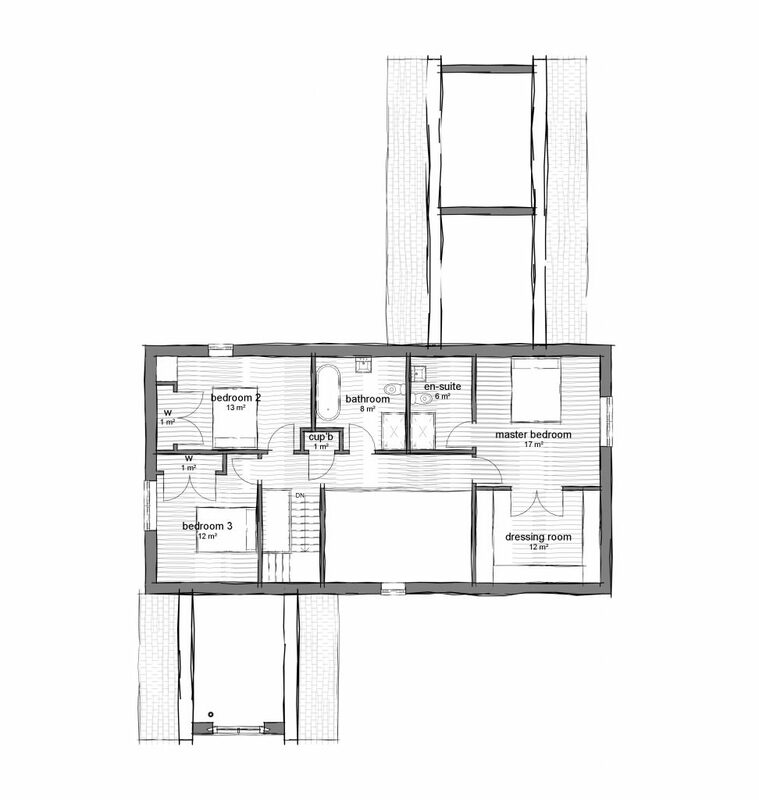 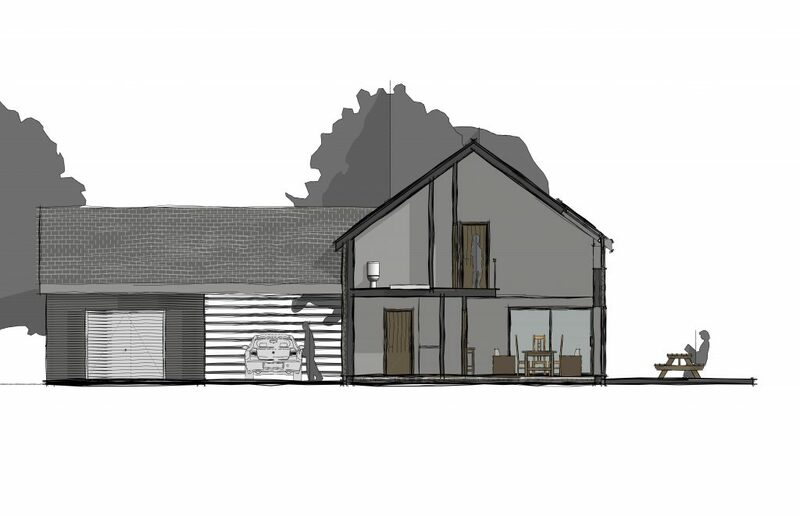 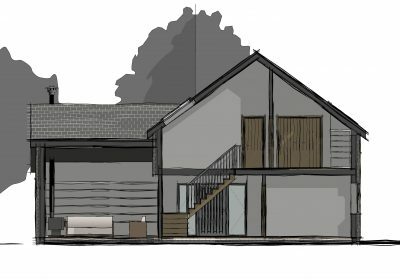 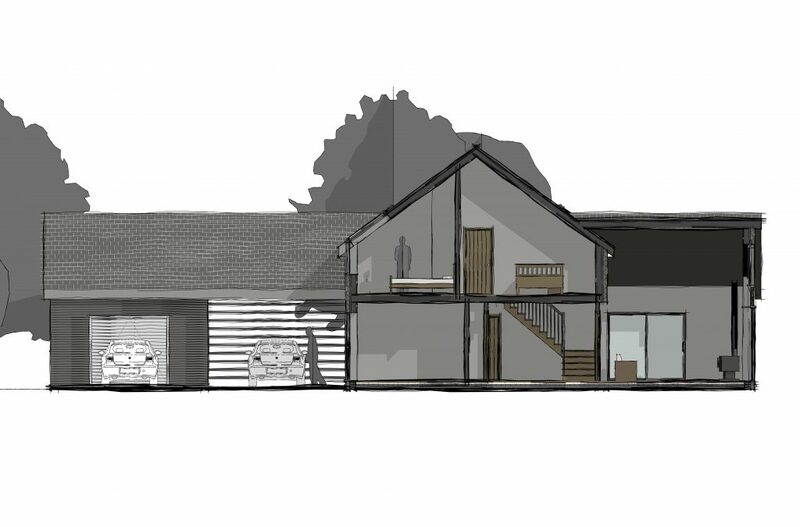 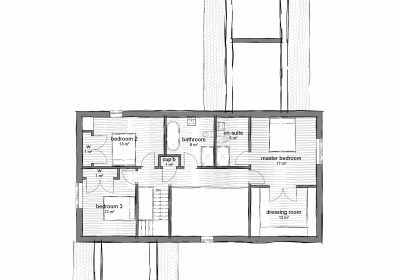 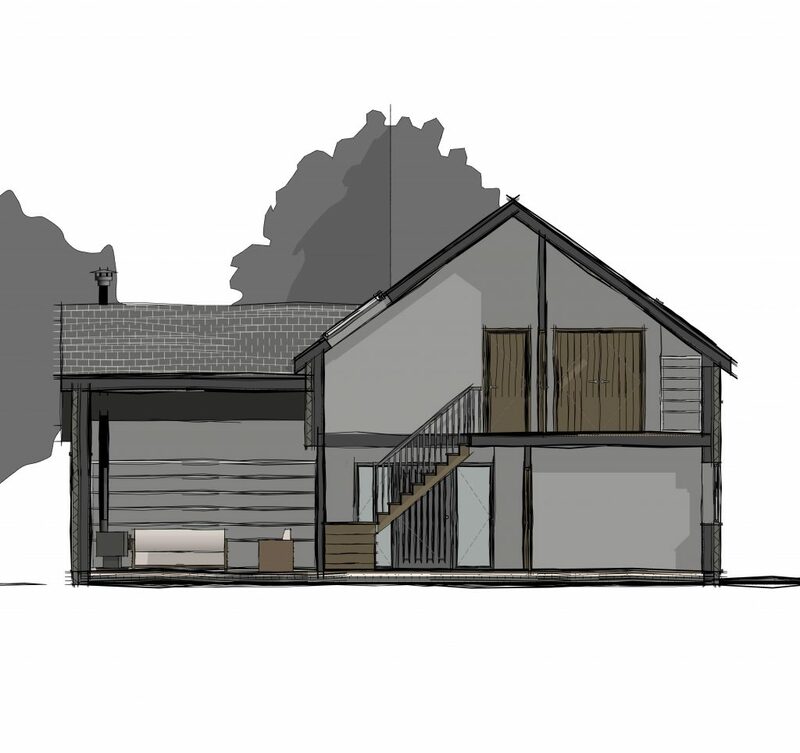 The main body of the house is storey and a half, with the garage and lounge wings at a lower level. 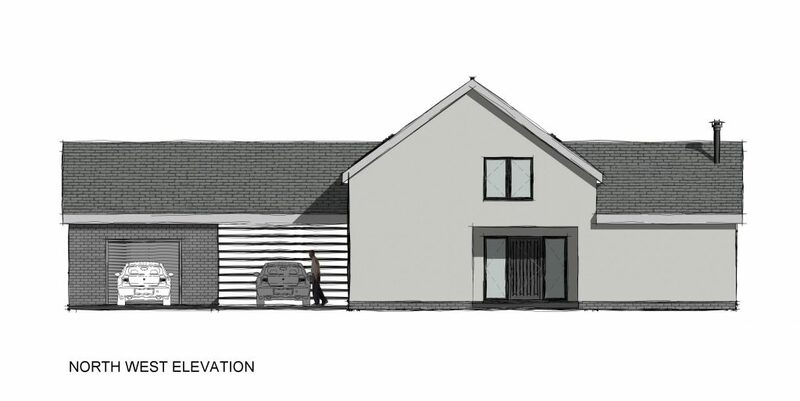 The garage roof extends toward the main house to form a covered carport, with sheltered access to the side entrance. A recess at the front entrance and a large front door with glazed side panels provides a generous and sheltered main entrance. 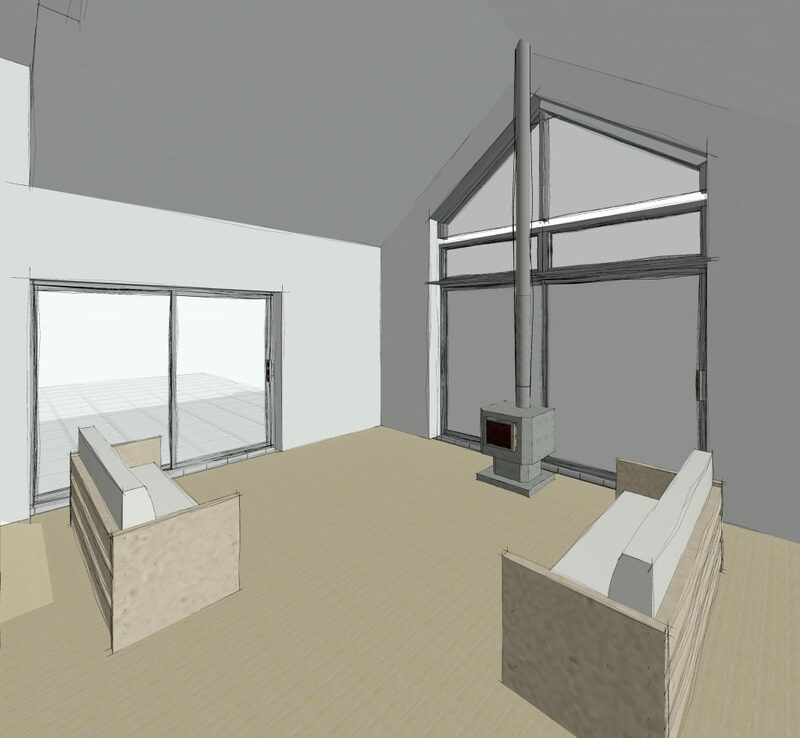 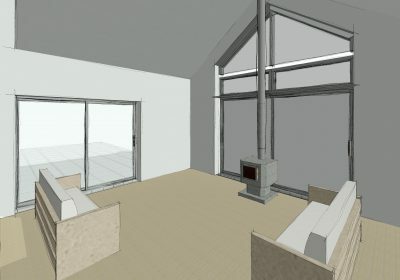 A glass gable to the lounge allows the living space to enjoy a vaulted ceiling with feature wood burning stove to glass gable. The dining area enjoys a double height space with velux rooflights above, which also provide light to the upper landing.